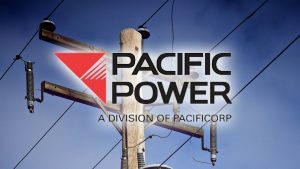 Portland, Ore. — With the entire state of Oregon under some kind of winter weather Advisory, Watch or Warning, Pacific Power is urging people to take precautions to stay safe and comfortable this weekend. That includes checking your Emergency Outage Kit, charging your mobile devices, and reporting any outages. If your power goes out, Pacific Power encourages customers to first check their fuses and circuit breakers. If the power failure is not caused inside the home or business, customers should report the outage to Pacific Power at 1-877-508-5088. Customers can also report outages via text message by texting the word OUT to 722797. Once an outage has been reported you can text STAT to 722797 to check the status of the outage. Remember to always stay away from downed power lines and assume they are live. Don’t drive over downed power lines. And check on your neighbors, especially those who may need special assistance. For more information on outages click HERE.